Title: 'Africa ex magna orbis terre descriptione...' French edition. 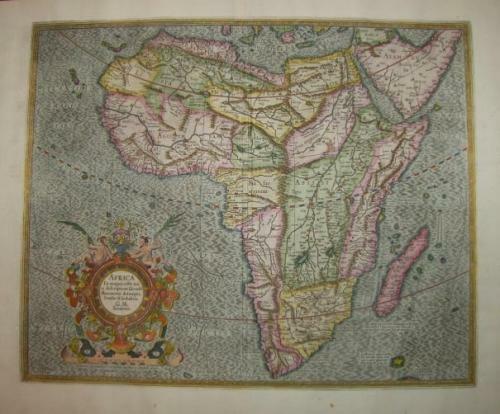 A famous map of Africa by Gerard Mercator. A nice impression on a sheet with hand colour. In very good condition with only a couple of spots and a crease.